Zortrax Celebrates 100,000 Facebook Fans and Offers Free Filament! In today’s business world, a Facebook “like” is no small thing. A friend of mine recently opened her own yoga studio, and as I shared her Facebook page to help her publicize, I consistently checked back and gave a little jump of excitement every time her number of “likes” went up. 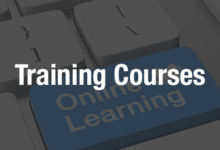 Facebook may have originally started as a way for college students to creep on each other and fritter away their time – and let’s be honest, it still is largely that, but it’s also become an incredibly powerful business tool. So it’s a pretty big deal that Polish manufacturer Zortrax has hit the milestone of 100,000 Facebook fans. We’ve written about Zortrax frequently, as their reach extends into virtually every corner of the 3D printing industry. They’re one of those companies that hit the ground running and just never stopped gathering momentum. Zortrax may be best known for their extremely popular M200 and Inventure 3D printers, but they’ve also captured a big chunk of the materials market with their high-quality and specialty filament varieties, not to mention gaining popularity through their intuitive and easy-to-use Z-Suite software. Their technology has been a part of medical breakthroughs, allowing key research to be performed with complex heart models printed on the M200 and helping a blind woman to “see” pictures of her boyfriend. They’ve played a role in the military and the arts, but their impact has almost certainly been felt most strongly in education, whether through helping college students explore space or donating printers and supplies to public schools and libraries. Speaking of libraries, we can’t forget about the Zortrax Library, the company’s social network/model sharing platform where users can upload, download and share models for free. The site contains a vast array of free downloadable models from users, professional designers, and Zortrax itself. The company recently overhauled both the model library and Z-Suite, further improving the performance of the M200 as well as the quality and accessibility of the models customers can choose to print with it. 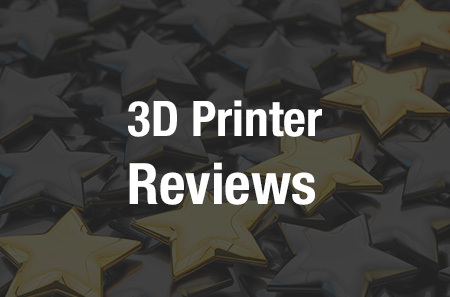 Zortrax has done a lot in the mere five years they’ve been in business, and with such a comprehensive and accessible 3D printing ecosystem, it’s no surprise that they’ve won so many fans. That appreciation goes both ways, too; to celebrate their 100,000 Facebook fan milestone, the company is holding a special promotion to give back to their many supporters. Filament colors will vary – though Z-HIPS, Z-PETG, Z-PCABS, and Z-GLASS should be pretty predictable, as they’re only available in shades of black, white and gray (or transparent). Z-ULTRAT is where you’ll get your color, with hues ranging from neons to pastels. The price for the full bundle, in US dollars, is $1,990 – a very decent discount when you consider that the five rolls of specialty filament purchased on their own would come to a total of nearly $270. 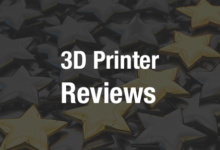 The Zortrax M200 has been earning top marks from everyone from 3D Hubs to our own 3DPrint.com writers, so it’s a pretty safe bet that it’s a machine well worth the investment – and if you’re considering buying one, now’s the time to do it, because you’ll be getting a pretty good starter kit along with it. At the time of this writing, Zortrax has already gained an additional 447 Facebook fans – and if you haven’t “liked” them on Facebook yet, head on over and give them a click, because who knows what kind of celebratory promotion they’ll offer once they hit 200,000 or 500,000 fans? After you check them out on Facebook, discuss all these details further in the Zortrax M200 3D Printer & Free Filament Promo forum over on 3DPB.com.